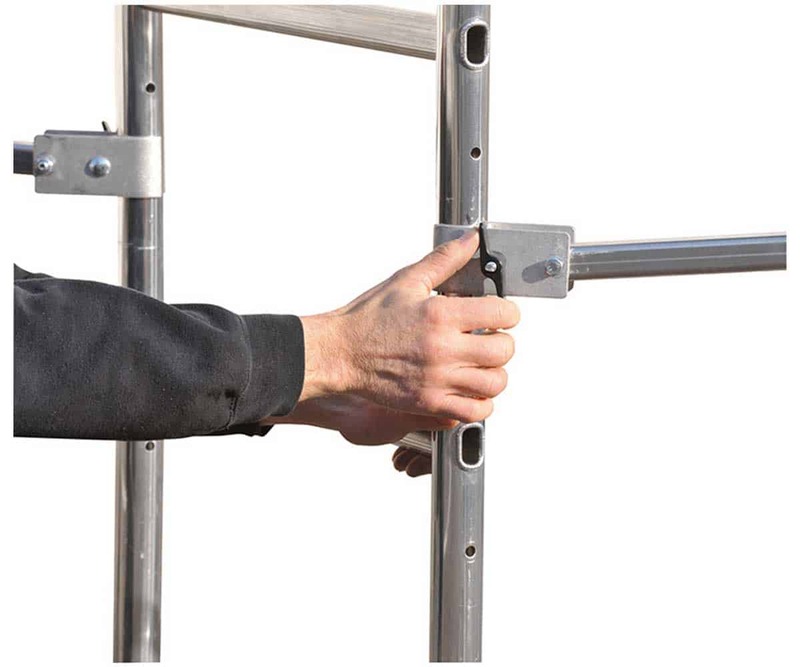 Height adjustable every 30 cm. 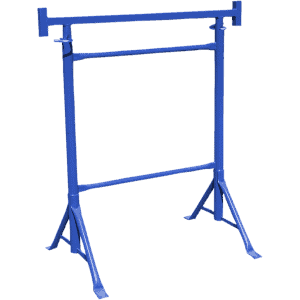 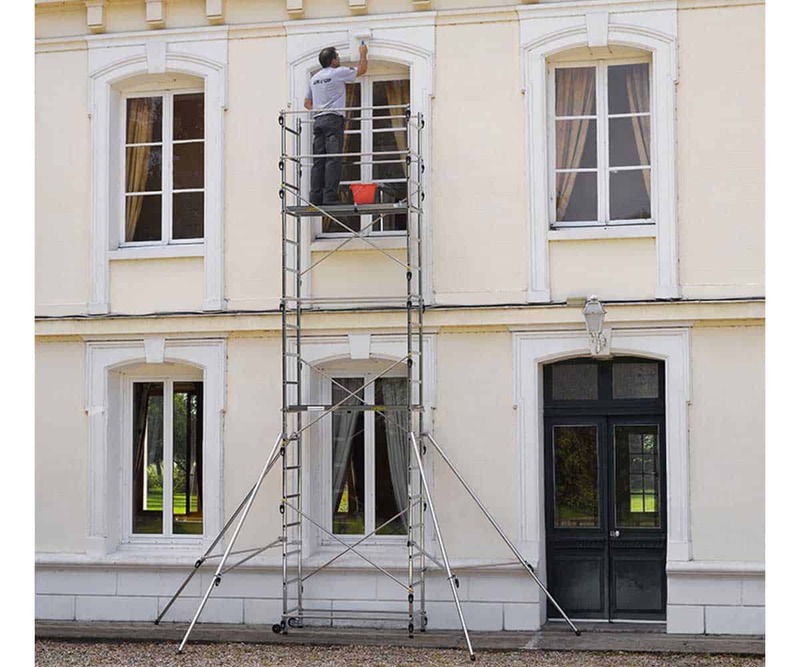 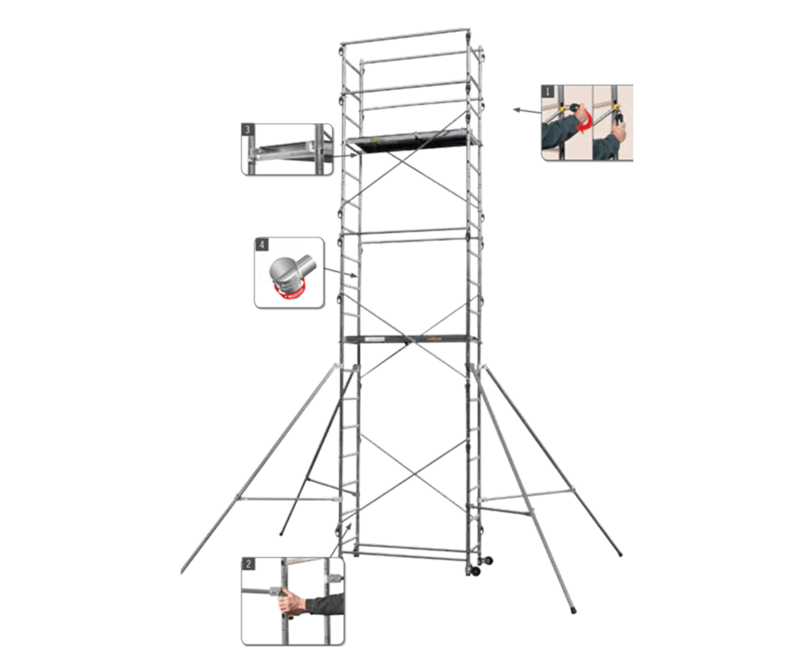 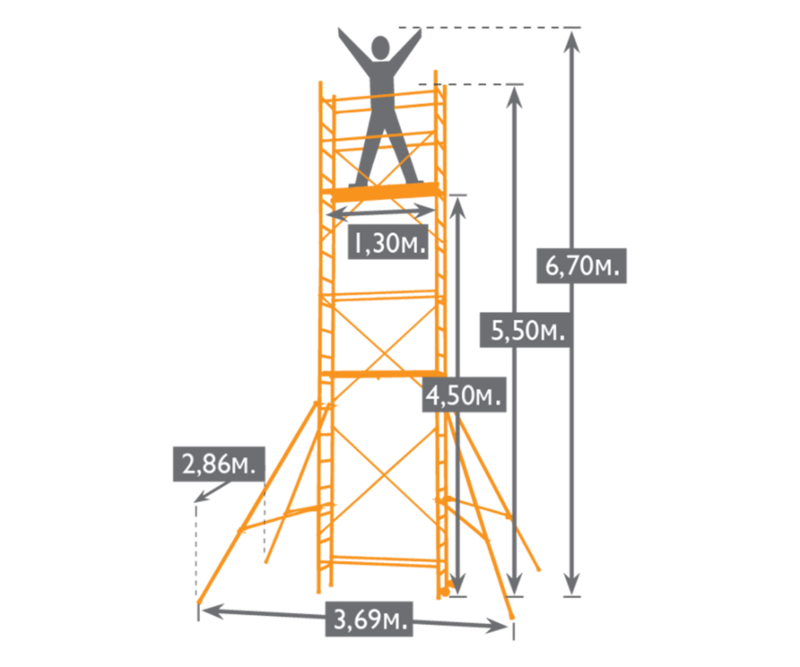 Aluminum scaffold “Sten Up” has a working height of up to 6.70 m and a load capacity of 150 kg / m2. 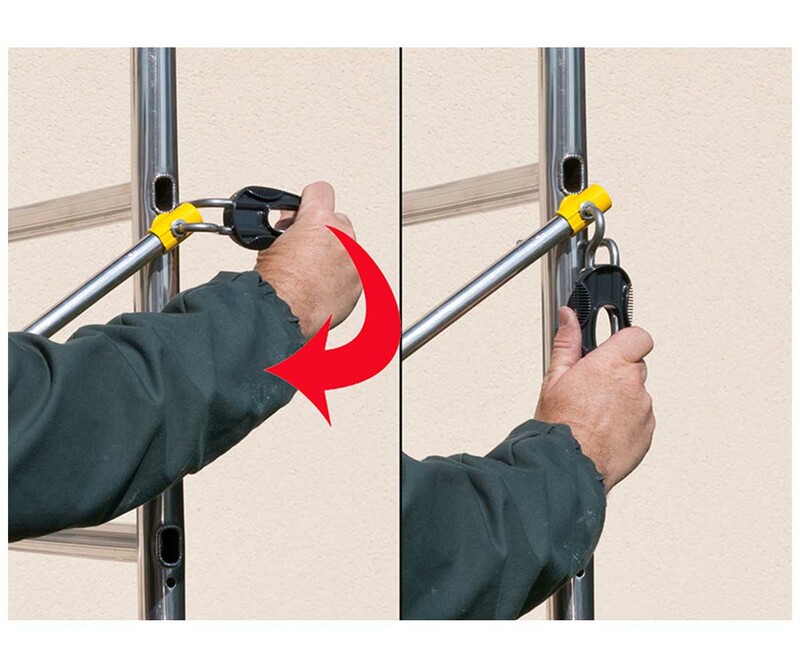 It is mounted quickly and easily, without the need for tools. 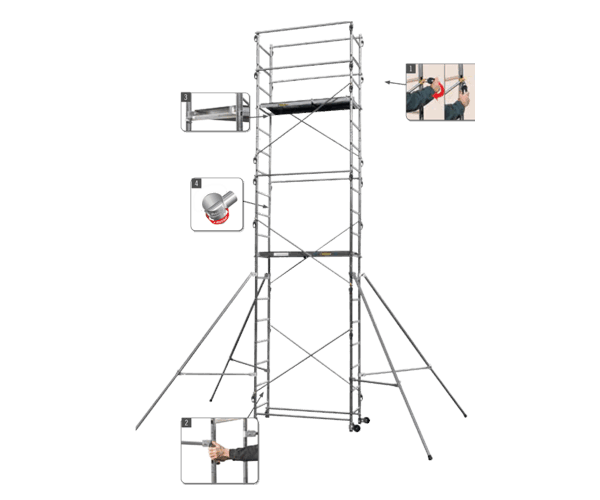 Assembling is done using the automatic clamps. 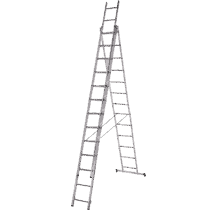 The construction of the scaffolding is strengthened by means of four angular supports. 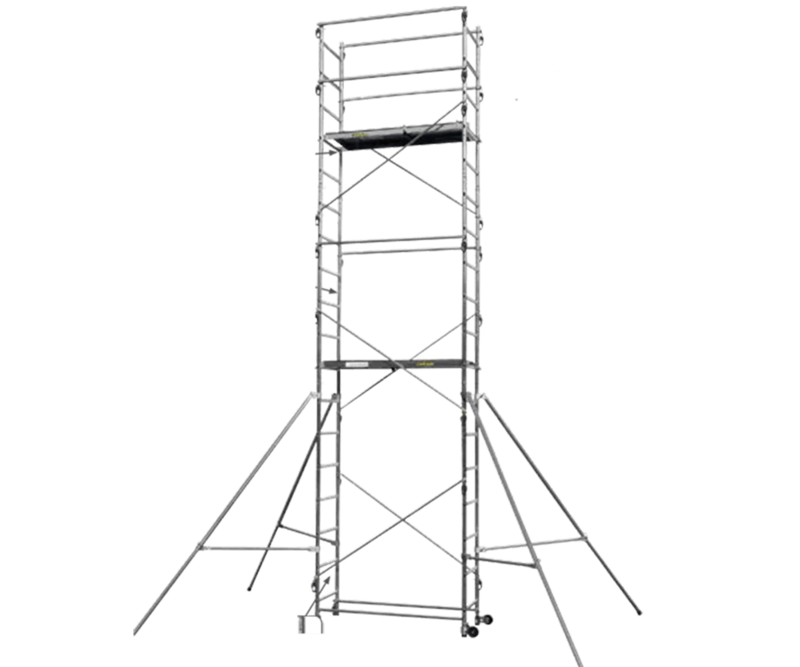 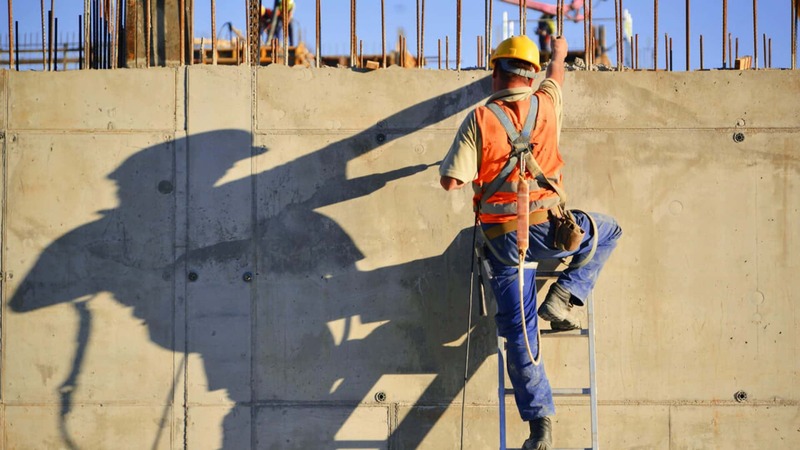 They engage the platform and adjust according to the uneven terrain and the fixed height of the scaffold. 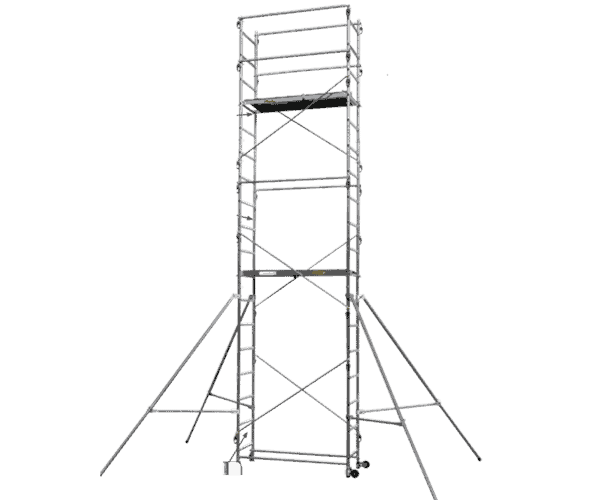 The scaffolding is provided with horizontal platforms that are attached to the width of the structure. 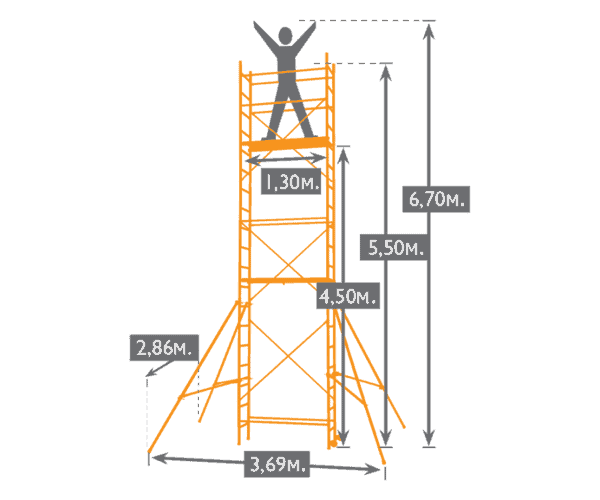 Height distances between platforms are also adjusted. 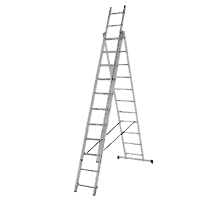 It can be chosen to make it easier to overcome the heights, thresholds and movement on stairs. At the lower end of the construction, on one side there are two wheels. 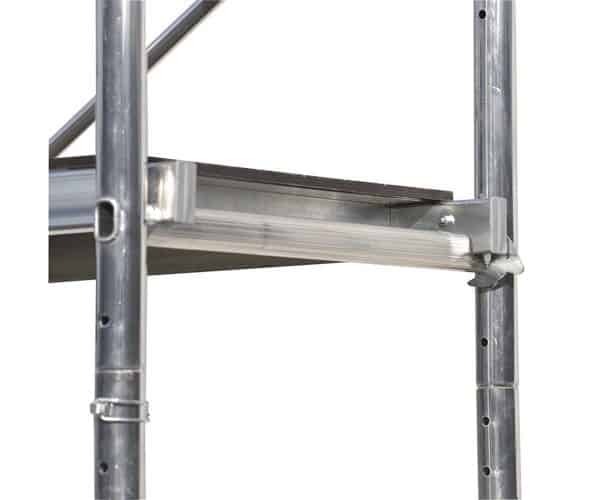 They make it easy to move the scaffold in an assembled state.